Here at Golf Surfin, we have all sorts of golf jobs available at golf resorts all across the USA. No matter what your skill set is in the golf industry, we have a golf job for you. If you are a PGA Certified golf instructor, we would like to talk to you. Many golf resorts around the country have their own in-house golf instructors so the demand is high. If you currently are not PGA Certified, we would still like to hear from you as there are many positions that need to be filled at golf resorts. If you are great with people and have a solid foundation in teaching golf, there is a golf instructor job waiting for you. Golf resorts want people to come to their resort by any means necessary. Having highly qualified golf instructors at their resort is a great way for them to attract people who are interested in the game of golf. A golf instructor job is a very important position and is one of the top golf jobs we are inquired about by golf resorts around the country. Golf Surfin has been specializing in placing golf professionals in resorts across the USA since 2000. We have formed unique partnerships with golf resorts over the years. Signing up with Golf Surfin means that your resume will be in the hands of hiring managers at golf resorts near you. 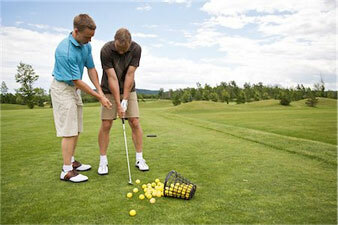 Golf Surfin provides you with the best opportunities for a golf instructor job. Fill out the Golf Instructor Job Registration form or give us a call at (866) 446-5378 to find the perfect golf instructor job today!